In a white van parked just outside the Baltimore jail, medical providers wait, hoping to connect with people as they leave. They offer social support, community resources and prescriptions for buprenorphine, a drug considered the gold standard for treating opioid and heroin addiction. As a result, only about 6 percent of medical practitioners have obtained that X waiver, according to government data. That low figure is especially troublesome in some rural parts of the country, where about 60 percent of counties lack a physician with a waiver from the Drug Enforcement Administration to prescribe buprenorphine, according to a paper published in the Annals of Family Medicine. As a result, many patients can’t access a potentially life-saving treatment. The push to deregulate buprenorphine has recently gained traction among providers on the frontlines. There have been strongly worded opinion pieces from doctors in publications such as Health Affairs, JAMA Psychiatry and STAT. On Twitter, too, clinicians are lamenting what they see as a big hurdle to treating the devastating opioid crisis afflicting the country. “… One possible solution to this terrible epidemic is hidden in plain sight: remove governmental restrictions on prescribing buprenorphine to treat addiction,” writes Dr. Kevin Fiscella and Dr. Sarah Wakeman in the recent STAT opinion piece. Buprenorphine binds to the same receptors in the brain as heroin or painkillers but without the same detrimental side effects, thereby keeping addiction cravings at bay. As a result, research has shown it to be highly effective in reducing drug use. Advocates for deregulation point to France’s 79 percent decrease in opioid overdoses after policymakers allowed all medical doctors to prescribe the drug. The United States’ prescribing limitations have a long history — they go all the way back to the 1914 Harrison Narcotics Tax Act, which prohibited physicians from prescribing narcotics as part of addiction treatment. That prohibition was relaxed with the Drug Addiction Treatment Act of 2000, which enabled qualified physicians to apply for a special “X” number, allowing them to prescribe narcotics to treat opioid dependency. To get the X waiver, though, doctors must undergo eight hours of additional training while nurse practitioners and physician assistants need 24 hours. 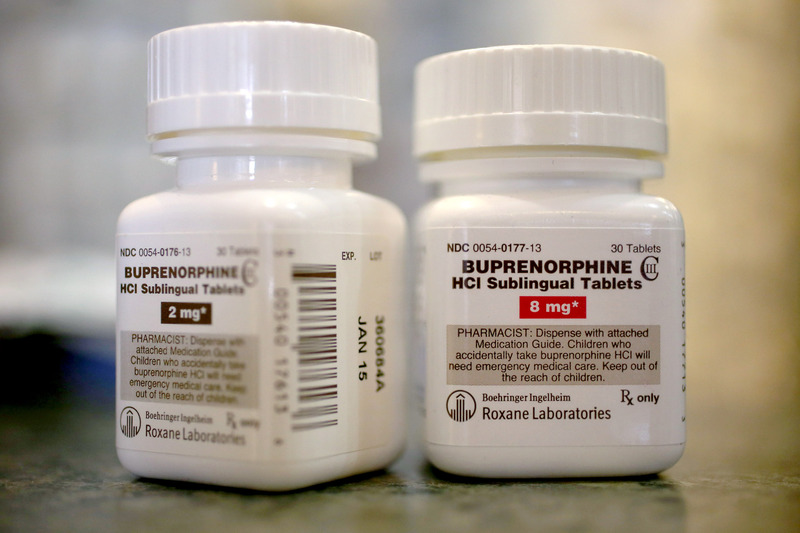 That additional training is unnecessarily burdensome, especially since “it’s unbelievably easy” to prescribe and manage buprenorphine, Berk said. Plus, the drug is far safer and has less potential for abuse — unlike drugs such as fentanyl, which can be prescribed without the X waiver. In an environment where many providers already feel overworked and burned out, taking the extra course is a hassle. Plus, there are often easier ways to satisfy continuing medical education requirements, providers say. There’s also a certain subset of addiction physicians who believe that treating addiction is specialized medicine, said Dr. Kimberly Sue, who is the medical director for Harm Reduction Coalition and teaches waiver classes. It’s true there are some key points that are taught in the class, she acknowledged, but that material could certainly be taught in traditional medical education venues, she said. Another obstacle: some providers might not want the license because they don’t want to — or don’t have the resources — to treat patients with opioid use disorder. That isn’t a valid excuse, though, Sue said. Providers “cannot opt out of learning how to treat diabetes and start insulin therapy, but in this case, they can — even though we have highly effective lifesaving medications such as buprenorphine in the setting of an opioid overdose crisis,” Sue said. While large physician groups such as the American Medical Association are in favor of eliminating the license requirement, there is no pending legislation. Even if momentum does grow for removing the license, it wouldn’t be a panacea, said Dr. Mark Calarco, the national medical director for clinical diagnostics for American Addiction Centers (AAC) and the CEO of AAC’s Addiction Labs of America. He says the ongoing crisis requires a broader shift in mentality, with more providers willing to pitch in. “We really need all hands on deck treating the addiction epidemic,” Calarco said. Back in Baltimore, Berk said the effort to lift the license requirement is just beginning. Perhaps the biggest hurdle is that policy makers don’t have enough exposure to patients who struggle with addiction — people whose voices too often aren’t heard, he said. Currently, less than 1/3 of US “addiction rehabs” offer what WHO determined in a 2009 report was the “minimum requirement in treatment of opioid addiction,” treatment with buprenorphine and/or methadone. This anti-science attitude wouldn’t be tolerated in any other field of medicine, but when it comes to treating addiction, early 20th century “treatment” principles are the US gold standard. And the anti-opioid zealots like it just fine that way.